The Hansel Edison swag LED chandelier with a curved metal frame, has a simple, rustic feel. I've been looking at lighting forever and finally found something I really like. Loved the design. Couldn’t find anything else like it! I loved the price first and loved the style of it...I love bird cages and it reminded me of that. Plus the industrial feel of it along with the bulb type. I especially love your tool to see it in your room! I loved the design. 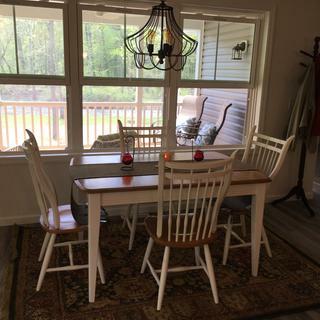 I have farmhouse table and it will go perfect with it . Perfect blend of rustic & chic; love the Edison bulbs! Like the look and openness of it. Since it will be placed in my gazebo, I will be sure of sufficient lighting all around. Can not wait to add this to my vintage farmhouse bedroom! 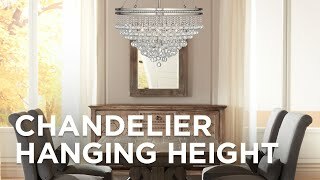 This chandelier coordinates with lighting I already have from Lamps Plus. So pretty and very different! Is going to look great in our new home that will have “cottage/ lake house” decor. So excited! Think it will look airy in our sunroom. The description and reviews were quite helpful. Needed a lamp with no electricity in ceiling. Ordered other lamps before and been happy. 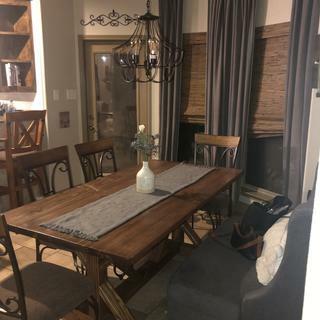 Looking for a feminine light fixture to balance our masculine rustic bedroom. Love the rustic look for my farmhouse kitchen. IT IS SO UNIQUE AND COULDN'T FIND ANYTHING AT LOCAL STORES THAT APPEALED TO ME. It will look good in my kitchen area. changing décor. Cottage/farm/modern industrial look. 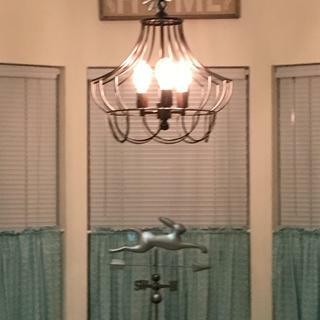 Super excited about this chandelier b/c its going over my dining room table! This is EXACTLY what I was looking for! 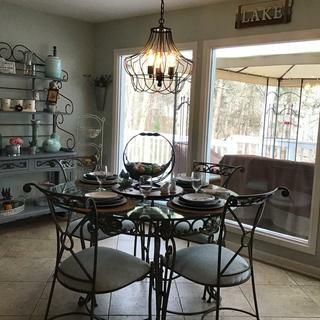 I love the caged light but have a small dining room. I can't wait to see it in my space. Is this a plug in swag? BEST ANSWER: Yes, this is a plug-in style swag chandelier. I hate edison bulbs. Can I use incandescent bent tip bulbs? BEST ANSWER: Hi - Yes you sure can up to 60 watts max per bulb standard/medium base. Is this rated for damp outside areas? BEST ANSWER: Hi, the chandelier is not rated for outdoor use. BEST ANSWER: Hi, the chandelier does include swag hooks. 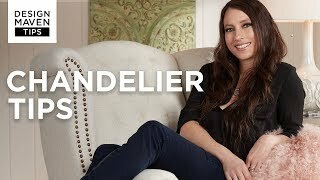 can you suggest the proper light bulb for this chandelier, something without a glare? BEST ANSWER: Hi Christina - this includes the clear Edison style bulbs, but you may use frosted or soft white regular bulbs as well. I have added a couple options below you may like. I bought this chandelier several months ago. We used the Edison bulbs that came with it. There is no glare. I love the look! does this light have a dimming option? We put s dimmer switch on the light switch.. I don’t think the pendant needs one if you replace your light switch on the wall with a dimmer plate/switch. Is this more black? It looks like it in the picture. I'm trying to find black. BEST ANSWER: It is a very dark brown finish, but not black. I have added a link below for some other available options that you may like. Not black, more like dark bronze. Hi - I am looking for a hanging light for a small bathroom with high ceilings in an old house with a steampunk theme. This one looks great, but will it be bright enough for the only light in the bathroom? I’m fine changing out the bulbs. BEST ANSWER: This would look great in a bathroom, but this item is not "damp rated". But, if you still plan on installing it in a bathroom, it is highly recommended you have good ventilation. This also includes three LED bulbs and each bulb is comparable to a 60 watt incandescent. With a combined 180 equivalent watts, that should be enough light for a small bathroom. But, you may also use LED bulbs with a 75 watt or even a 100 watt incandescent equivalency. I love the light fixture. I have mine hanging in a high ceiling stairwell. I changed out the bulbs and it provides good lighting for my use. I believe it would work well for you. 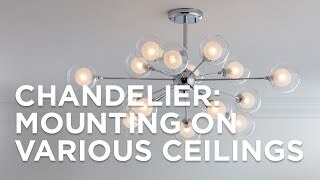 it would provide a lot of light in small high ceiling bathroom- I have it hanging over a medium size kitchen table- in a darkish room- gives a lot of light. Mine is in a small dining room with not very high ceilings. It gives off plenty of light, but it is very soft light with the Edison bulbs. Is this light set up for hard wire? BEST ANSWER: This one comes equipped for either a swag or hard wire installation. Canopy included. What color is the plug-in cord? BEST ANSWER: I have mine mounted to the ceiling instead of swag, but the cord is dark brown so it looks the same as the bronze. Dark brown, same as chain. This is a beautiful hefty light for the price. Do you need to use an Edison bulb or can you use one with less glare? 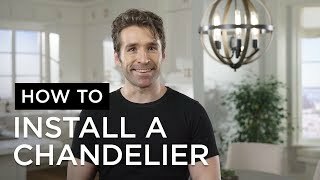 You can use another type of bulb with this fixture. I love the light fixture. It adds so much to my entry. I am very pleased with my purchase. i have open beam ceiling and need light fixture on swag chain and can plug into wall socket? BEST ANSWER: The light is a plug in chandelier, perfect for your application. Beautiful to look at and gives the condo a modern city look. Exactly what I was looking for because there was no electricity in the ceiling. Easy plug in! As I have written on other Edison lighting I love love the look but dislike the glare this style causes. This one is on a dimmer so we set it low when we leave and it is nice. The Edison bulbs cast a yellow toned light unlike the other LED lighting we use in our home which I don't like but goes with the retro lamp I guess. Hi garey h., sorry that we are just reading your review now, and couldn't help you when you first noted this! 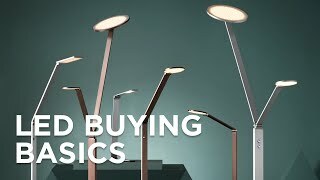 Luckily, this design has replaceable LED bulbs, so once the long-life LEDs do finally burn out, you will be able to fit the lamp with new LED bulbs in the color temperature that you prefer. If you need any help selecting bulbs in the color temperature that will better match the other LED lighting in your home, please feel free to reach out to our customer service team who has specially trained lighting associates that can help you. Thank you! 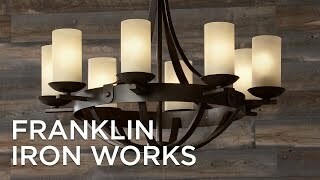 I would recommend this product to anyone looking for a rustic chandelier that’s not overly ‘country’. It’s very sturdy and came with a very long chain, although we didn’t use much of it. Edison bulbs are very bright (even amber ones) so we’ll be adding a dimmer switch. Absolutely love this chandelier! The bulbs that it comes with are beautiful and give off great light. So cute and totally perfect for my farmhouse look!!! 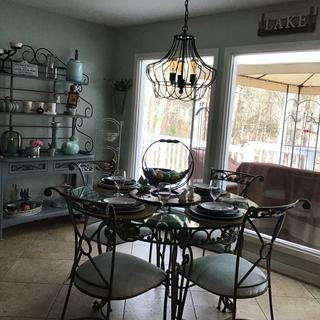 I saw this online and fell in love tried to get into the store to see it in person but i was too busy so took my chances and bought it and totally love it, looks great inmy dining room !! 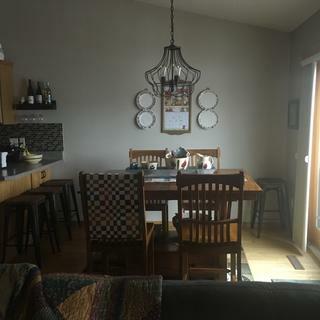 love the light and get lots of compliments on it! Thanks. Love this but hate that the cord is dark brown!!! It's perfect for the kitchen! Love, love this light. I almost purchased the brushed chrome, but glad I got the brown color instead. 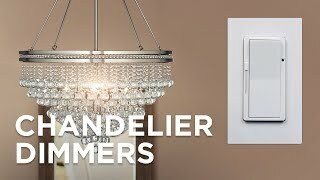 I read the other reviews before purchasing and agree that it does need to be installed on a dimmer because it is bright, but happy with light. 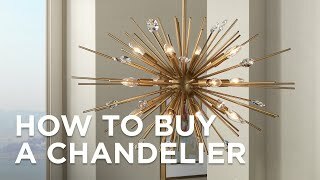 I love Lamps Plus and have purchased lights, fans, bulbs, mirrors, nicknacks, medallions, etc. and have always been happy. Five stars for this chandelier.. I loved this light and my husband was impressed by the quality of this light. I am very impressed with the quality, style and value of this product. This light has really completed my kitchen. The lights that come with it are soft lighting so if you wanted to be brighter you would need to buy some bulbs. This light is made to plug-in, so if you have to cut it to directly wire it. Pictures do not do this light justice! It is well made beautiful light. Love this beautiful swag lamp. This light is very beautiful. I looks very nice in my home. Good quality. 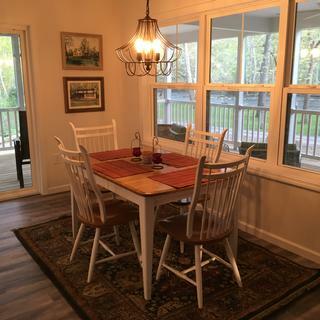 This swag lamp is very nice looking over a dining table! Bought this light a year ago and loved its look. The on/off switch has all ready broke on it and is not even used that often. Hi Charlene H., sorry to hear that the switch on your chandelier has stopped working. Our customer service team would be happy to look into the issue with you and provide some solutions. Could you please reach out via phone, email, or chat? Thank you. 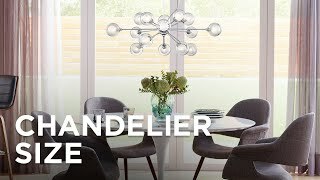 Elevate a modern dining room with this contemporary bronze pendant light featuring a classic white acrylic diffuser handsomely cloaked in metal latticing.